Opel has always been recognised as a practical innovator. Our engineers and designers are constantly searching for more flexibility, better ergonomics, lower or zero emissions, to provide better cars for all of our customers. This naturally means we expend a lot of effort in studying cutting edge design, and new propulsion technologies. We are also evaluating advanced materials and developing new production techniques to make them feasible. All together this adds up to a desire to stay right at the forefront when it comes to defining the future of automotive mobility. 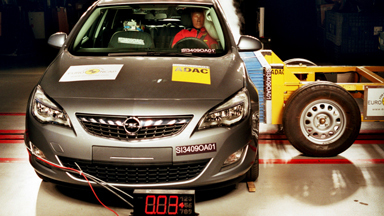 Before you ever get to enjoy the innovations of our future cars, we have tested them for all the durability, functionality and quality that you expect from Opel. Even the smallest component has a role to play, and we make sure it does, and carries on doing so to your complete satisfaction. And, to check the relevance of our innovations, we consult directly with the people who matter most our customers and future customers. You want your Opel to handle brilliantly, under all conditions, and so do we. So every aspect of the road holding and control, every advance in innovative technology is put under the microscope by our experts. Did you know that we have our own test facilities at the world famous Nürburgring known as the “Green Hell”? Or that at Dudenhofen, near our Russelsheim home, we have built a large test facility that replicates virtually every road and off road surface on the globe? Here our cars are driven literally to the limits, just so that you know that whatever the conditions, whenever and wherever you are, you can depend on your Opel. You take it for granted that your Opel can stand up to heavy winter conditions. That is because we don’t. 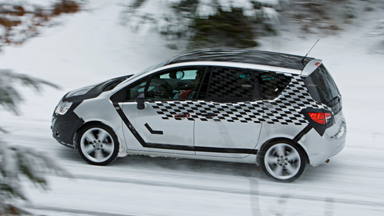 Every new Opel is rigorously tested under polar conditions, well North of the polar circle. Conversely, your summer comfort is equally important to us. So we also test our cars in the most unfriendly desert conditions, in Death Valley, Colorado. Extreme? Of course. But what we learn in these hostile climates enables you to enjoy your future Opel that much more, whatever the weather. You have probably seen enough pictures of crash testing. But did you also realise that we don’t just test the crash resistance of our cars? As pioneers of fully integrated passive safety, we also thoroughly prove our interactive systems, such as our pedal release system, dual action seat belts, active headrests and airbags. You might never need them, but isn’t it comforting to know that they are there? At the more everyday level, we also test just how efficient our cars are to repair after minor incidents. Together with the Research Council of Automobile Repairs (RCAR), an international association for insurance industry research we have developed more repair friendly cars. In small collisions we make sure no major components are damaged, and that parts can be easily replaced. In many countries this saves money on the insurance premiums. Why does a new car need a clinic? Our designers, researchers and technicians are only human. Sometimes they need extra input. For instance they need to know exactly what you want from your car, and what you need. Is the styling OK? Is there enough stowage and storage? Is it too big or small? Easy enough to use or to reach? Secure enough for the children? There are so many details that need to be checked, evaluated and confirmed. For this reason, if you find yourself in a new car clinic, please be patient with the seemingly endless questionnaires. 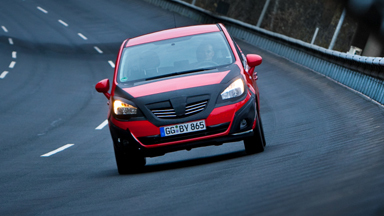 Your input could make a significant difference to how much you enjoy your next Opel. Downsizing is a simple concept. In principle it means making a smaller engine do the work of a larger one. Easy to say. The reality is that overstressing an engine means that it wears more quickly. 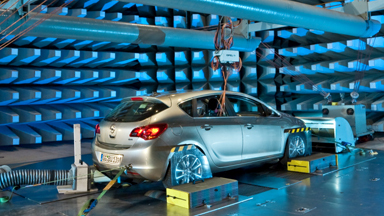 At Opel we have used and will keep developing and using the latest technology to avoid this. All our ECOTEC® engines have 16-valve technology, efficiency is optimized by the use of lightweight components such as hollow camshafts, and by the reduction of internal friction. The turbocharged versions demonstrate the downsizing principle even more convincingly. 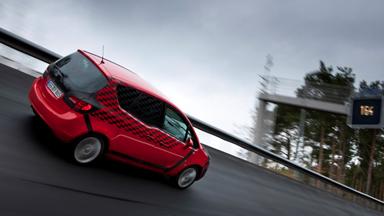 The turbocharger enables longer gear ratios that cut fuel consumption, while increasing driving fun. At the top of the power scale, piston cooling, sodium-filled valves and a laser-honed cylinder block are used. OK, this is all race-developed technology, but on our test rigs we have tested and tortured it under conditions that replicate up to 300,000 kilometres. The result is an engine that not only delivers, but lasts.